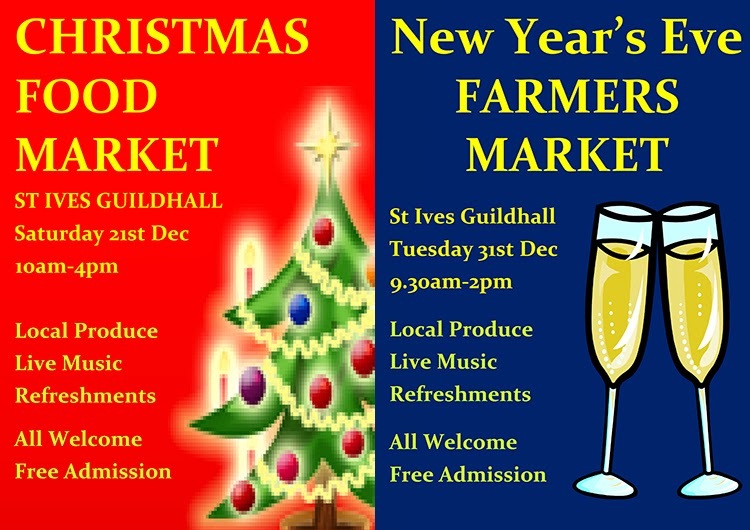 Tomorrow (Thursday 19th December 2013) sees the last regular Farmers Market of the year at St Ives Guildhall. But - there are two more special markets to come. On Saturday (21st) there will be a Christmas Food Market - with some wonderful festive food and entertainment. 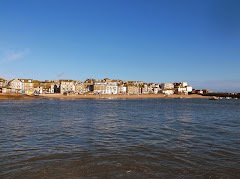 Open from 10,00 am to 4.00 pm. Then - a chance to stock up for your celebrations at the New Years Eve Farmers Market. Open from 9.30 am to 2.00 pm. The regular markets will then continue - every Thursday all through 2014. A Merry Christmas and Happy New Year to all customers and stallholders !